SiteGround remains a longtime leader in affordable, feature-rich hosting for shared, cloud, and dedicated server users. The company touts in-house-built technologies, ultra-reliable support, and cost-competitive services for virtually any web hosting need. The signup process is highly intuitive, and it all begins with great introductory rates, courtesy of our hosting deals displayed below. Happy hosting! Looking for SiteGround coupons and promo codes that actually work? You're in the right place. See below for HostingAdvice.com reader-exclusive deals for every web hosting need. Simply click on the discount that interests you most to receive the sale pricing on the SiteGround website. Need some help? Learn more about SiteGround hosting with our expert hosting guide below. SiteGround will accept Visa, MasterCard, American Express, and Discover credit card payments. Note: This may vary by geographic region. It’s also a little-known fact that you can pay via PayPal. Just contact SiteGround’s sales department using the company’s in-house-built Live Chat portal to get that set up. Your choice of hosting type and plan is directly tied to the type and scale of website you’d like to build and host. If you’re creating a personal site, small business site, blog, photo gallery, or online portfolio, about 97% of the time you’ll be golden with shared hosting — the StartUp, GrowBig, or GoGeek plans will more than suffice! If your site is a little more mature, perhaps expecting tens of thousands of monthly visitors, we’d recommend a VPS plan. 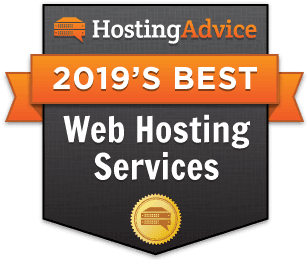 Highly trafficked websites require hardware solely dedicated to their hosting needs, in which case, SiteGround’s Entry, Power, or Super Power Server plans might be a good fit. Yes. Monthly billing is available for cloud and dedicated server accounts. However, shared hosting plans come with a minimum subscription period of one year. Shared hosting customers can also opt for a one-month trial for a $14.95 setup fee, plus the cost of the hosting. Sadly, all good things must come to an end at some point. We’ve done our best to work with hosts to deliver fair pricing to our readers, but web hosts are a business, too! The pricing you see displayed above is fair game for the length of the term for which you sign up — typically 12, 24, or 36 months. Keep in mind you’ll pay for your service upfront, but if you sign on for the 36-month service, for example, you’ll get to keep your discounted monthly rate for three years. It’s certainly worth considering when you know you’re partnering with a quality web hosting provider. No, SiteGround is one of the few shared hosting providers that does not throw in a free domain registration for customers. However, you can easily transfer a domain you already own to SiteGround’s nameservers or register a new domain once you click one of the links above. Domain registry starts at $14.95 per year, and you can opt for domain privacy for an additional $12 per year. Domain privacy is a highly recommended service which hides your personal information, such as name, email address, mailing address, and contact phone number, from the WHOIS information associated with your domain. Of course! A host’s uptime refers to the percentage of time its servers are online and operational, usually excluding scheduled downtime for maintenance. Many hosts guarantee an uptime rate of anywhere between 99% and 99.999%, which is known as an uptime rate guarantee or service-level agreement (SLA). “Five nines” is an industry-wide aspiration. Typically, you’ll do just fine with 99.9% uptime, which shakes out to about 43 minutes of downtime per month. SiteGround sits comfortably in the middle, sandwiched between standard and supreme at 99.99% uptime guaranteed. Will SiteGround help me switch to a VPS or dedicated server when I’m ready? SiteGround customers can easily upgrade from shared hosting to a cloud or dedicated server using the User Area dashboard. SiteGround doesn’t offer complimentary migration services, but the step-by-step instructions provided within the User Area are pretty easy to follow. No, siree! We work our magic to get our readers special deals on the best plans the hosting industry has to offer. Just click the links above to reap the rewards of these discounted SiteGround prices. SiteGround does not offer any free trial periods, but shared hosting customers can sign up for a 30-day trial period for the cost of one month of hosting plus a $14.95 setup fee. SiteGround shared hosting accounts also come with a 30-day money-back guarantee. SiteGround is a fierce competitor in the shared, cloud, and dedicated hosting arenas. Its pricing is not the lowest of the low, nor a premium contender, by any means. But you’ll find SiteGround delivers fair pricing for feature-rich hosting solutions.